It’s been over a month since I watched Mortdecai, but there has been a good (in my mind) reason why I’ve been dragging my heels on this review. I wanted to read the book first, and last night I finished the first of several Mortdecai novels. Charles Mortdecai first appeared in author Kyril Bonfiglioli’s (1928-1985) 1973 novel Don’t Point That Thing at Me, and two more novels to complete the “Mortdecai Trilogy”. A fourth book was started by Bonfiglioli and completed by Craig Brown, which was posthumously published in 1999. It would appear that the film Mortdecai takes bits and pieces from all of the novels to craft it’s tale. 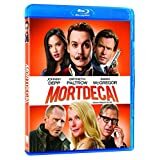 Mortdecai is a scoundrel and a rogue; an unscrupulous art dealer and swindler; and an aristocrat. 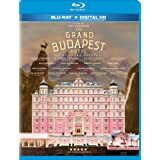 In the film, Mortdecai (Johnny Depp) has to find a way to pay off his tax debt, save his marriage with wife Johanna (Gwyneth Paltrow), and recover a stolen Goya painting that MI5 Inspector Martland (Ewan McGregor) – who has been in love with Johanna since college – has been led to believe contains a code to a lost bank account filled with Nazi gold, and on top of all that, Mortdecai has to clear his own good name in the theft of the painting and the subsequent murders surrounding the investigation. What did I think of the film? Well, I thought it could have been a lot better. I did laugh, but I had problems with the Mordecai character (now remember that this opinion was formed before I read the book). I thought he came across as too silly to be believed as a con man or an unscrupulous art dealer. The film struggled, even though I felt like I knew what they were trying to do. I think it was trying to emulate the Pink Panther films of the Peter Sellers era, but Depp is not Peter Sellers. Clouseau at least seemed confident while still bumbling, Depp’s Mortdecai seemed too cowardly and silly, and just didn’t give me that feeling, despite the few scenes where he did show some intelligence. What did I think of the book? An even better question. The novel was quite short actually, only 166 pages, but for some reason it took me what seemed like forever to finish it. I should have been able to finish it in a day or so, but the writing style was just not catching on for me at first. Eventually though, things started to click, and I really enjoyed the book. I’ve got the next three novels lined up; though while the first book really left a lot of the plot threads open, the second (and third) will have to wait in line as I have several other “to reads” ahead of them. There were some genuine laughs in the film, and as you know, I do love a good con/caper story, so I was a little disappointed with this one. I think however that I can pin those disappointments down to just one thing, and that was Johnny Depp’s performance as the lead. Paul Bettany as Mortdecai’s man servant Jock, was the high point of any of the scenes that Depp was in. Aside from those quibbles, the action was fun, and the dialogue was fairly clever and witty (which it certainly should be based on the source material – “It was still only nine o’clock when I set off on the last leg of my journey, feeling old and dirty and incapable. You probably know the feeling if you are over eighteen.”), but it did feel forced at times. Jokes such as Johanna gagging and Mortdecai having a sympathetic gag reflex whenever they discussed Mortdecai’s moustache for example fell flat the first time, but sadly they kept going back to that time and time again. Witty banter back and forth can carry a film in the right hands, but these didn’t seem to be the right hands, or the left hands for that matter. In fact it felt like someone let what could have been a cult classic slip through their hands. Hey, look at that! I can write witty banter too if I want to. Someone get me a screenwriting job.